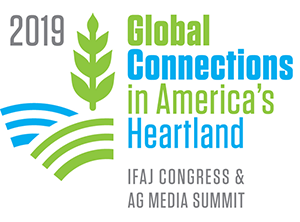 The ethanol industry honored two of its own Tuesday for excellence in research and promotion during the 24th annual Fuel Ethanol Workshop in Nashville. 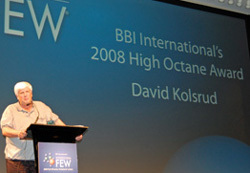 The annual “High Octane Award” was presented to David Kolsrud, president and CEO of DAK Renewable Energy in Brandon, SD. The Award of Excellence for ethanol research was presented by Dr. Kevin Hicks with USDA’s Agricultural Research Service eastern research center. 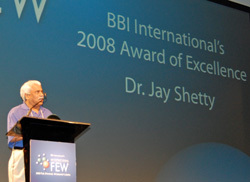 This year the award went to Dr. Jay Shetty, senior director of global applications and grain processing for Genencor, a division of Danisco. The Award of Excellence recognizes an individual who has made significant research, technical advisory and development contributions in the industry.